Partick was once a focal point for Gaels arriving in Glasgow. Does the Partick of today retain a Gaelic identity? A' coinneachadh muinntir Phartaig . Am bheil e fhathast na oisean Gàidhealach ann an Glaschu? Tha cuimhne aig cuid nuair a bha Gàidhlig ri chluinntinn air an t-sràid a h-uile là ach de an seòrsa beatha a th'aig Gàidheal a difir ghinealachdan ann am Partaig a là an diugh. Tha an t-sreath seo a' leanntan cuid dhiubh nam beatha làitheil. Partick was once a focal point for Gaels arriving in Glasgow, a home away from home. What does the Partick of today look like and does it still retain a Gaelic identity? 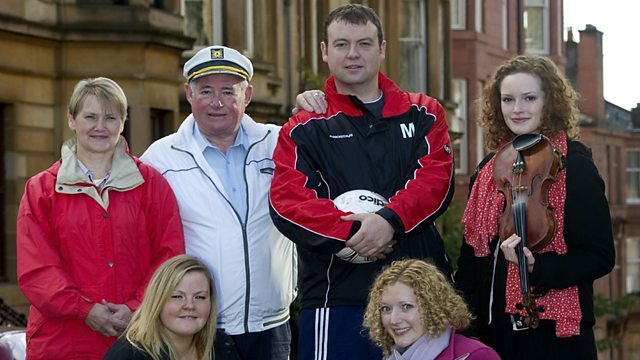 This series follows Gaels across the generations as they go about their daily lives in Partick.